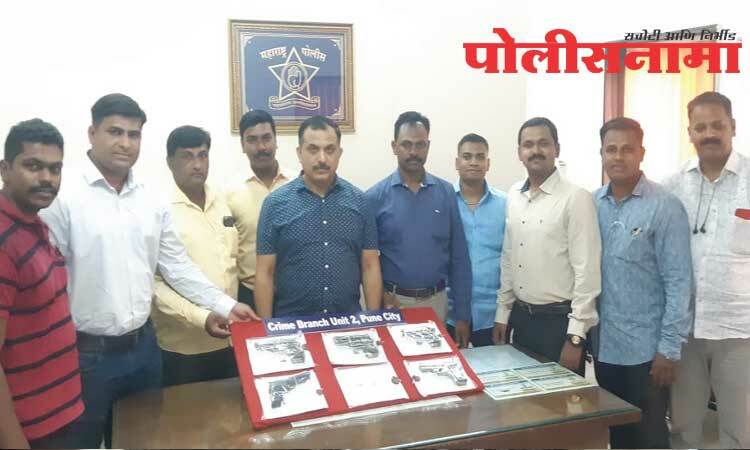 Pune : Np News Network – The officials from Crime Branch Unit 2 of Pune city police have arrested two criminals and recovered five pistols and nine live cartridges, totally worth Rs 2.5 lakhs, from their possession. The accused used to smuggle the firearms from Madhya Pradesh and sale in Pune. The arrested accused have been identified as Mohsin alias Moa Badesab Shaikh (age 36, resident of Yerwada) and Manoj Vilas Dhotre (age 34, resident of Vishrantwadi, presently lived Donjegaon). In the backdrop of the Lok Sabha elections, strict action is being taken against illegal possession and sale of the firearms.